I must admit, I love the Mojo Monday sketch challenge. Sometimes I will sit down to my table in my craft room and I have a hard time deciding what to do and sometimes I just don't feel that creative. 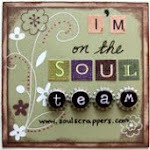 Mojo Monday makes it easy for me to create a card. They give me a sketch and all I have to do is come up with a stamp and paper. Here I have created some baby cards. I don't specifically have a baby stamp set but I do love this deer so I thought I could use it. Enjoy your day. This is lovely. What adorable baby cards. OhMyGooooodness.. these cards are just adorable! They are such cute cards!! I love Mojo Monday too! !